I am off work this week and wouldn’t you know it but the weather forecast for the week is rain. Sod’s law! 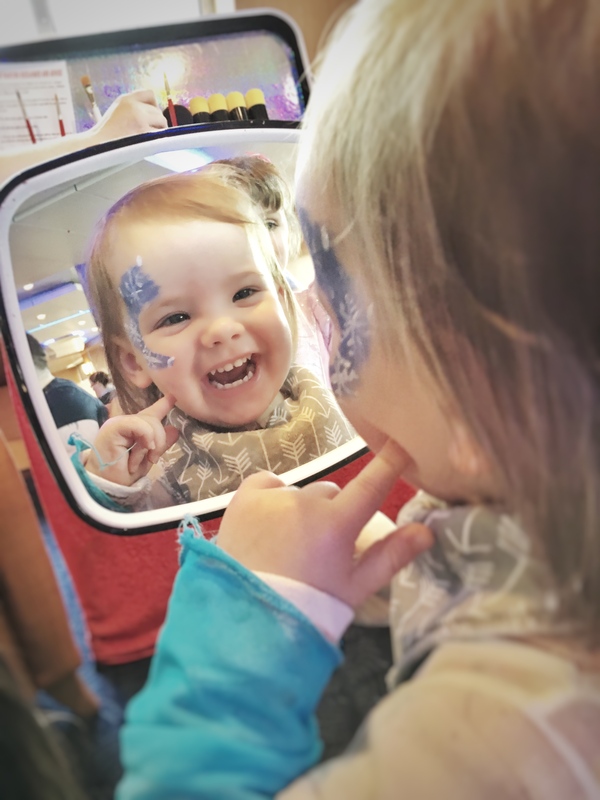 With 2 toddlers there is only so much soft play or puddle jumping you can handle so when Stena got in contact and invited us on a Princess and Pirates cruise I couldn’t wait to find out more, I had never heard of this before and sounded like something a little different. 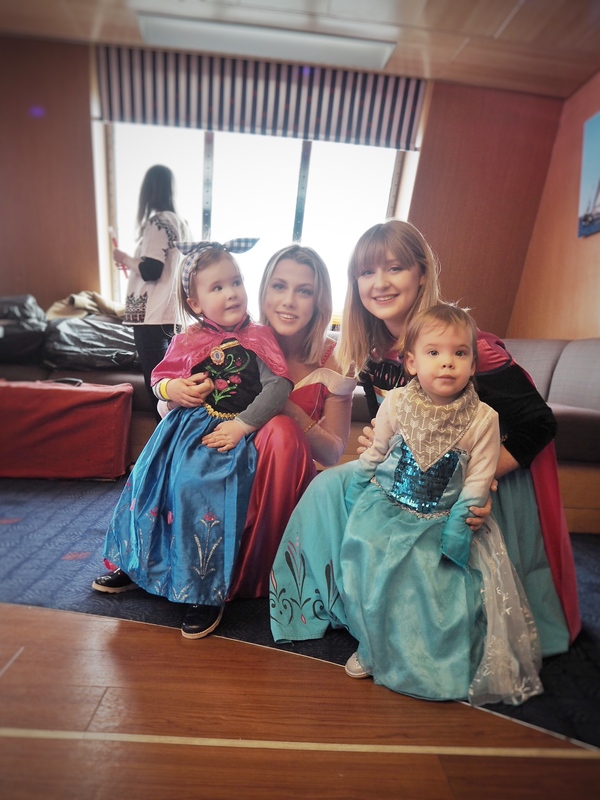 Unfortunately my bikini and suntan lotion was not needed but the Elsa and Anna dresses were packed up and on Saturday morning along with 2 very, very excited little girls (and my niece) we hopped aboard the StenaLine super fast sailing from Belfast to Cairnryan. 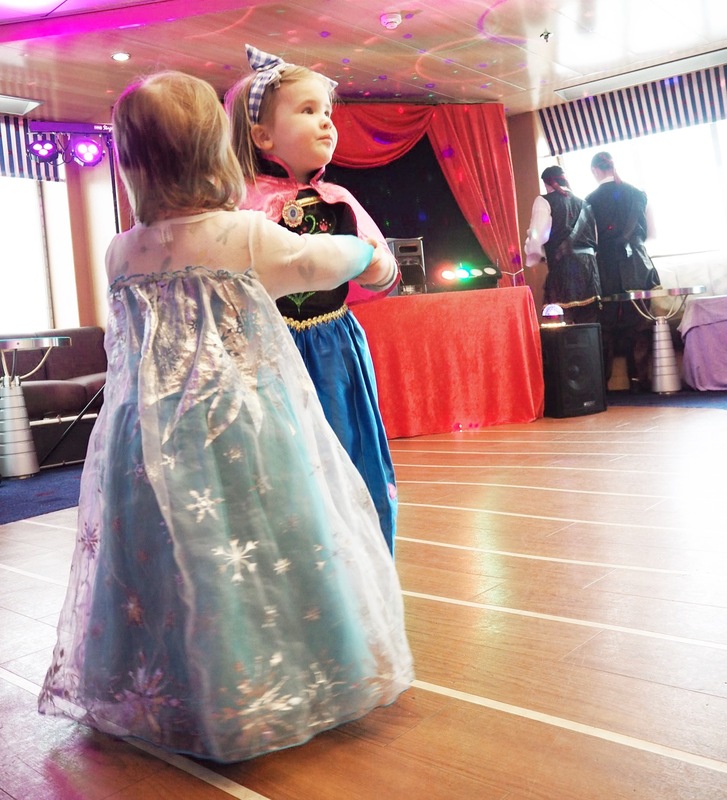 From the moment we got on board we were greeted by princesses and pirates, the music started to play from even before we set sail and everyone was disco ready! If anyone is thinking of heading for the day with their little ones I would recommend bringing some snacks, everything is available to buy on board with a full restaurant and also coffee shops however with a fussy little eater I feel I missed a trick bringing some of our own little bits and I watched so many super organised mums with little cool boxes of sandwiches and snacks (someday I will be one of them, organised). Annie has been going through a phase where she won’t eat proper lunches and dinners and any parent that has had fussy eaters will get how frustrating and worrying it can be… well ‘Elsa’ was on her lunch break whilst we were attempting getting a bite to eat and she noticed how much I was trying (and failing) to get Annie to eat her fish so she came over, went straight into character and asked if she could see how amazing Annie would eat up, Annie of course ate every bite. 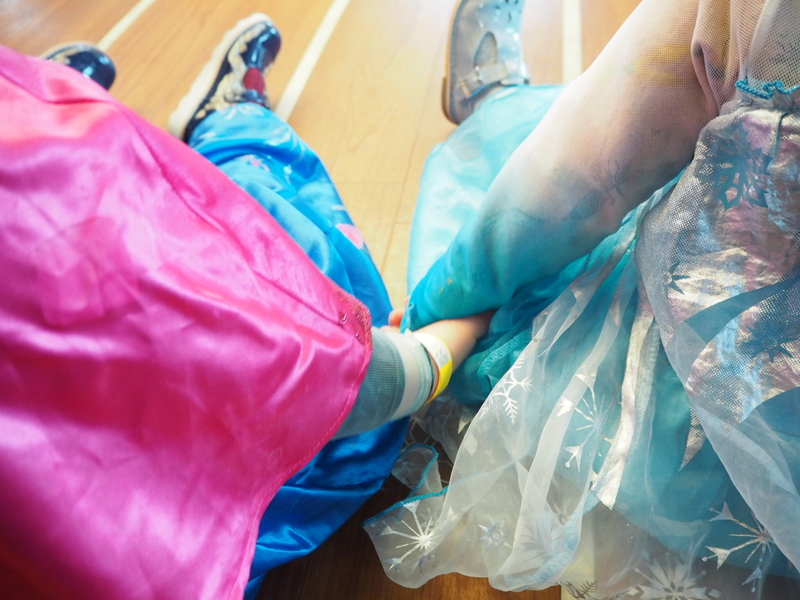 So I am now contemplating dressing as Elsa for dinner time each night (I joke but it crossed my mind). 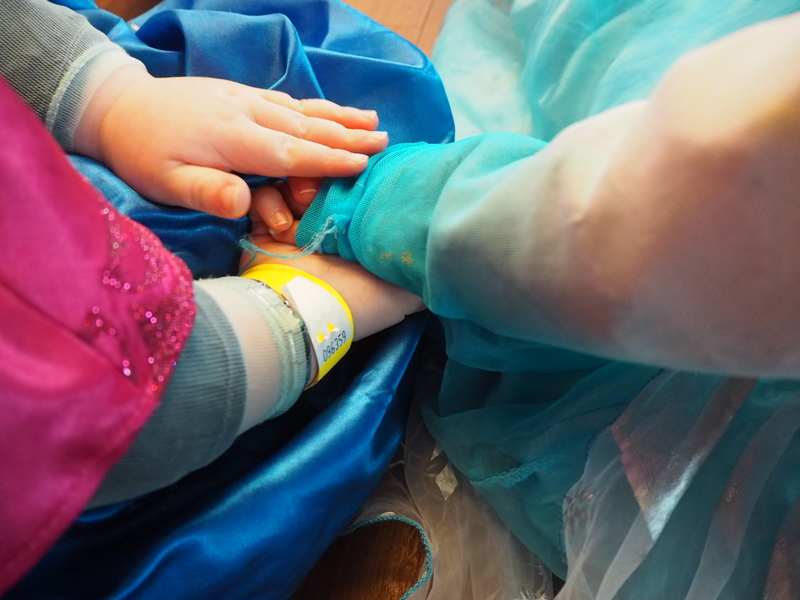 I am so glad I grabbed the girls costumes as I left the house as most of the little boys and girls were all dressed up and looking magical! 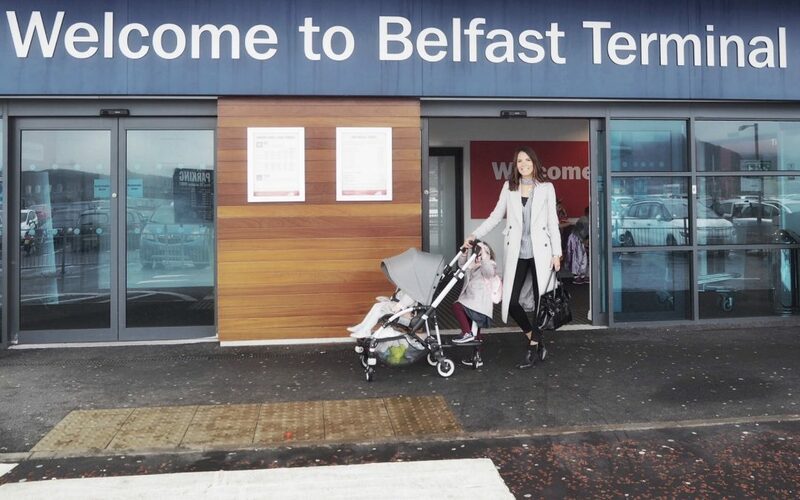 I think the trip is great for ages 2-8 years old (though there was plenty of wee babies) and all the activities catered for that age range. It is £12 per person for the trip and they run roughly once per month with the next sailing on the 20th April and there is also a Super Heros Cruise on the 1st April. If lots of excited kids, pop music, party games and singing isn’t your thing then the trip wouldn’t be for you but when Bella told me that she danced to her legs couldn’t dance anymore and asked if she could have a sleep and start it all again tomorrow then I was pretty sure that I have 2 little girls that have had a day filled with the best memories! 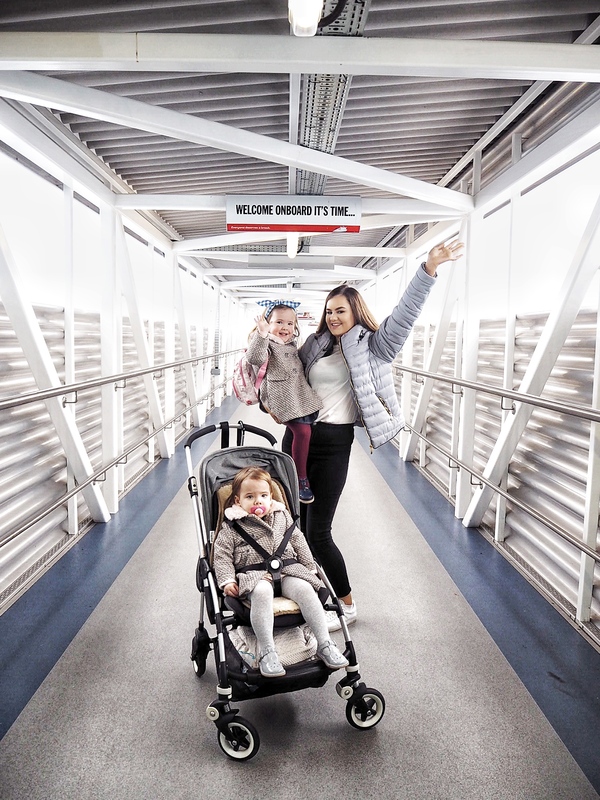 This is a sponsored post but as always I only ever give my 100% honest opinion so all smiles and dance moves are entirely those of two happy and exhausted little girls… and that always makes for a happy mummy! How do you book this? 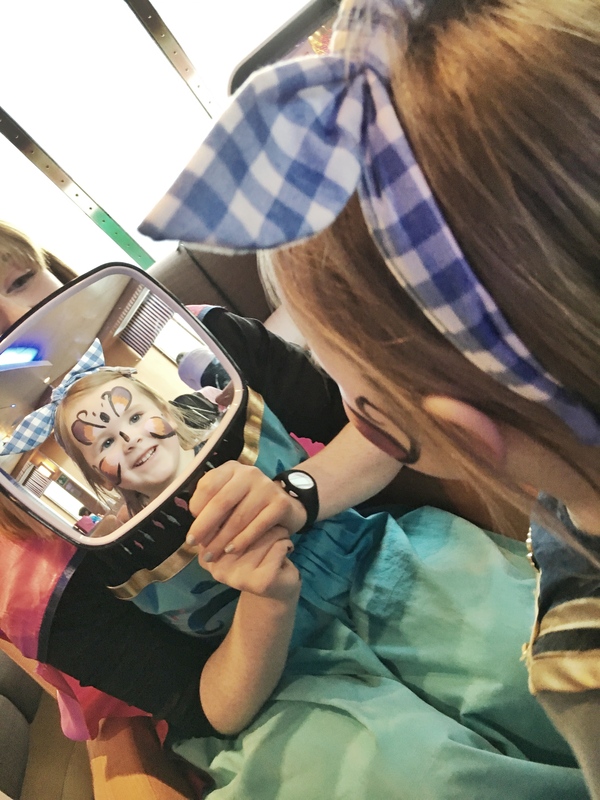 Annie’s wee face in the mirror! Looks like you had a lovely day! Thanks for the synopsis of your day, prompted me to look up prices etc. Scandalous that all children from age 0-3 are still charged at £12! Happy to pay £12 for my almost 2 and 3 and half year old but not for my 12 week old baby?! No sense whatsoever!! !